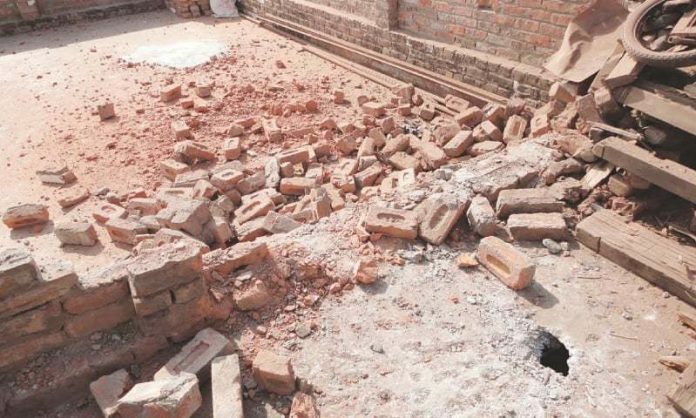 SIALKOT, Oct 30 (APP): Seven persons including two women were injured in unprovoked mortar shelling on the Working Boundary here on Sunday by Indian Security Forces (BSF) at Shakargarh sector. were injured as several mortar shells exploded near their houses. Five injured persons were admitted to Shakargarh THQ Hospital, while two others — Manzur Ahmed and Hafiz Muhammad Tahir — were shifted to Sialkot Combined Military Hospital (CMH) Sialkot in critical condition. Harpal, Bajrah Garhi, Shakargarh and Charwah sectors. The Rangers said that the fire was retaliated with full force.